West Wind Drive-In Theaters, with locations in California, Nevada and Arizona are hosting Customer Appreciation Night with free movies to the public on Thursday, April 19. This event marks the 10th anniversary for free movies in April. Drive-In Theatres continue to see resurgence in demand with revenues consistently outpacing traditional “walk-in” theatres. Drive-In theatre business has grown considerably in the last several years often outpacing conventional walk-in theaters in revenue. West Wind reports double digit growth every year since 2008. Nancy Crane, Vice President of Operations explains that “value seems to be the major reason drive-ins are growing.” Tickets to the drive-in are only $7.50 to $8.50 for general admission, and kids 5-11 years old are just $1.50 to $1.75, while kids 4 and under are free. Plus, you get double features each night, instead of just one movie at the indoor theaters. Ms. Crane continues “A family of four with young children can see two first run movies for $20.00 or less. “We are thrilled that people are re-discovering the family fun of the drive-in. Parents bring their kids to watch the first movie then the kids fall asleep in the back seat while the parents watch the second movie. We’re the perfect baby sitter” according to Ms. Crane. Drive-in presentation has changed considerably with the introduction of digital projection yet the nostalgic feeling remains. Improvements in presentation and sound that now rivals walk-in along with well-known snack bar brands at a fraction of the cost you find at conventional theatres are just part of the draw. There’s still that great old school vibe in a family friendly and updated location. West Wind is the largest owner/operator of drive-in movie theaters in the country, and owns and operates four drive-in theaters in California, one in Arizona and two in Nevada. 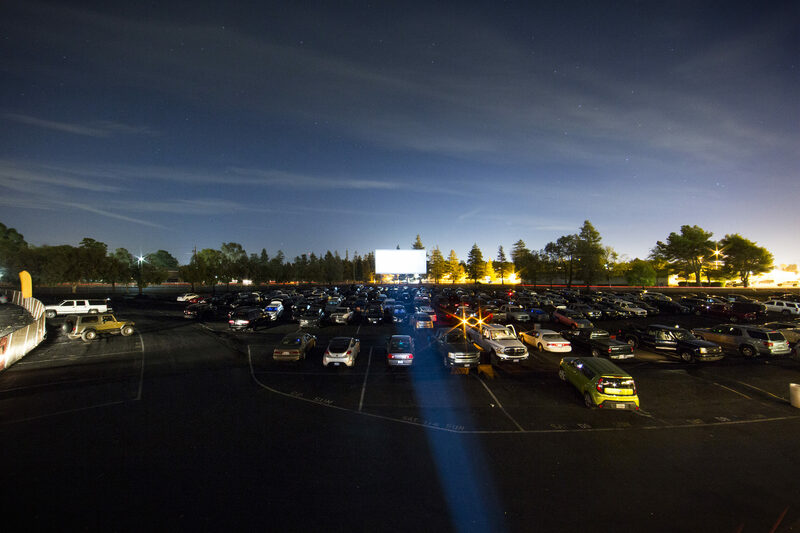 In the Bay Area, the Solano Drive-In in Concord is located at 1611 Solano Way right off Hwy. 4, and the Capitol Drive-In in San Jose located at 3630 Hillcap Avenue at Snell Avenue. Gates will open at 6:00pm and movies will start at dusk. In addition to the free movies, there will be live music, bounce houses for the kids and other fun activities planned prior to the start of the movie.